Social commitment and outstanding academic achievements deserve appropriate recognition. 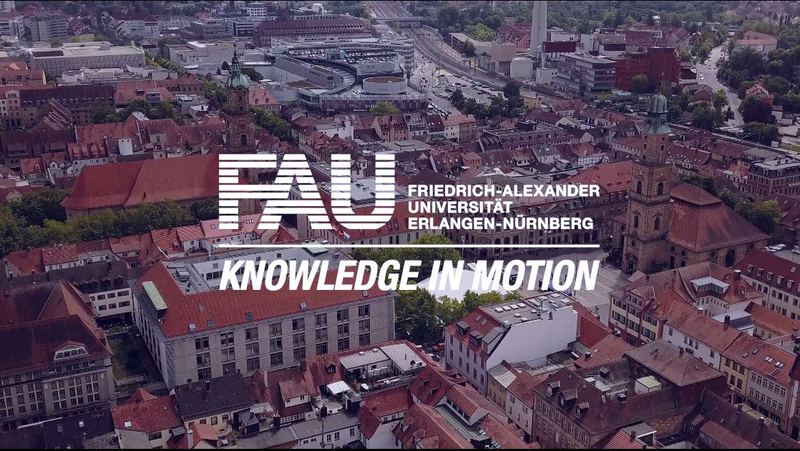 On 24 October, two FAU students were awarded prizes from the DAAD (German Academic Exchange Service) and the Wilhelm and Helga Schüßler Foundation, each worth 1000 euros, which were presented to them by Prof. Joachim Hornegger, President of Friedrich-Alexander-Universität Erlangen-Nürnberg (FAU). Born in Tajikistan, Natalia Malikova grew up in Russia and is currently completing a Master’s degree in Development Economics and International Studies at FAU. She is the top student in her class and one of the strongest students on the course since 2010. She is also involved in the Brücken German-Russian Cultural Association, where she teaches Russian to small children. The Hans-Wilhelm- and Helga Schüßler-Foundation rewarded her remarkable commitment and outstanding achievements with a prize of 1000 euros. Hülya Gizem Özkan, from Turkey, is studying for a Master’s degree in chemistry at FAU, where she ranks among the top students in her class, while also acting as a student assistant in the Pharmaceutical Chemistry research team led by Prof. Jutta Eichler. In addition to her studies, Hülya Gizem Özkan is a representative in her student accommodation where she helps newly arrived international students to find their way around FAU and the city. On the suggestion of the FAU Internationalisation Committee Hülya Gizem Özkan was awarded a prize of 1000 euros from DAAD on the grounds of her strong personal commitment and outstanding academic achievements.